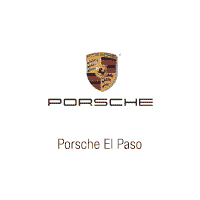 Porsche El Paso invites you to search our fantastic stock of used cars, trucks, and SUVs for sale near me in El Paso, TX. Our customer service specialists are standing by to help you find the next car of your dreams. Plus, don’t forget to ask about our used car financing program. From perfect credit to low credit, Porsche of El Paso will work hard to get you the used car financing you need. View our inventory online, stop by for a test drive, or call (915) 745-5300 today. Looking for a clean, well-cared for 2002 Porsche 911 Carrera? This is it. This 2002 Porsche 911 Carrera comes with a CARFAX Buyback Guarantee, which means you can buy with certainty. Outstanding craftsmanship and artisanal refinements abound with this Porsche 911 Carrera . Enjoy the grip and control of AWD performance in this nicely equipped Porsche 911 Carrera. It's not a misprint. And the odometer isn't broken. This is a very low mileage Porsche 911 Carrera. A rare find these days. This 2018 Porsche Macan GTS is offered to you for sale by Porsche El Paso. CARFAX BuyBack Guarantee is reassurance that any major issues with this vehicle will show on CARFAX report. Want more room? Want more style? This Porsche Macan is the vehicle for you. Quality and prestige abound with this Porsche Macan. Comfort. Performance. Safety. Enjoy all three with this well-appointed AWD 2018 Porsche. Porsche El Paso is honored to present a wonderful example of pure vehicle design... this 2005 Toyota Corolla CE only has 160,299mi on it and could potentially be the vehicle of your dreams! Your buying risks are reduced thanks to a CARFAX BuyBack Guarantee. If you are looking for a vehicle with great styling, options and incredible fuel economy, look no further than this quality automobile. It's not often you find just the vehicle you are looking for AND with low mileage. This is your chance to take home a gently used and barely driven Toyota Corolla. You can finally stop searching... You've found the one you've been looking for. We are excited to offer this 2008 Dodge Ram 1500. Drive home in your new pre-owned vehicle with the knowledge you're fully backed by the CARFAX Buyback Guarantee. This low mileage Dodge Ram 1500 has barely been touched. It's the next best thing to buying new. Based on the superb condition of this vehicle, along with the options and color, this Dodge Ram 1500 SLT is sure to sell fast. More information about the 2008 Dodge Ram 1500: The 2008 Dodge Ram can be equipped for virtually any use that requires serious hauling or towing, and can meet a wide range of budgets depending on the luxuries desired. With the 4.7L V8's upgrades for this year, the Ram's middle engine provides improved performance all around, while the Hemi engine brings even better performance without a penalty at the pump, thanks to the MDS system. The Mega Cab style also stands out as providing one of the largest cabs in the industry--according to Dodge, it's tops in legroom. This model sets itself apart with wide range of models and styles., Efficient and powerful V8 lineup, interior space (Mega Cab), and towing and hauling ability We look forward to seeing you soon! Please call us for more information. We are excited to offer this 2014 Mercedes-Benz E-Class. When you purchase a vehicle with the CARFAX Buyback Guarantee, you're getting what you paid for. You appreciate the finer things in life, the vehicle you drive should not be the exception. Style, performance, sophistication is in a class of its own with this stunning Mercedes-Benz E-Class. With less than 45,091mi on this Mercedes-Benz E-Class, you'll appreciate the practically showroom newness of this vehicle. More information about the 2014 Mercedes-Benz E-Class: The E-Class is Mercedes-Benz's mid-sized luxury car, competing with the BMW 5-series and the Audi A6. Being a true luxury car, the E-Class doesn't make many compromises. Performance, fuel efficiency and luxury are all high priorities for all E-Class trims. The E-Class Cabriolet is arguably one of the most luxurious and best-driving convertibles currently available. Mercedes-Benz build-quality and technical innovations provide unparalleled performance and comfort. A clever folding cloth top allows for 11 cubic feet of trunk space, even while folded. The E-Class wagon offers 68.9 cubic feet of cargo capacity. Featuring a powerful 302-horsepower V6, it offers excellent cargo transport in unequaled comfort. And the E63 AMG sedan and wagon are among the best-performing, most comfortable performance options for luxury midsize-class buyers. Interesting features of this model are available hybrid and clean-diesel models, elegant interior, quiet, smooth ride, world-class safety features, Distinguished, luxury-car look, and high-performance E63 AMG We look forward to seeing you soon! Please call us for more information.